upon a time, I had a dream. I was in a dark medieval castle with nothing but a wood and pitch torch to light my way. Before me was a broad stone staircase. It spiraled down into the darkness on the left, and up into the gloom on the right. I chose to go down, my torch spitting and hissing, making the walls seem to dance. After a few steps down, I heard someone approaching, so I stopped. Soon, a white face emerged out of the darkness, lit by his own sputtering torch. I knew immediately that this was Frankenstein’s monster. I stood still, transfixed by the monstrous, pale man climbing the stone steps toward me. He was unnaturally tall and his skin was the gray pallor of death. 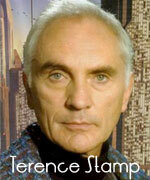 His face was round and reminded me of Terence Stamp. His hair was white and cut close to the scalp. He wore pale grayish beige khaki pants that were tattered at the cuffs and a matching turtle neck cotton shirt. He continued up the stairs, placing his large hand on my shoulder in gratitude as he passed. Within the dream, I knew he had asked me that question because he intended to go upstairs and strangle the life out of someone I knew. But when I awoke, I knew his words had a deeper meaning for me. When a writer’s words inspire an emotional response … be it fear, sorrow or joy … those words and the tale they tell are remembered. But if they don’t, the words expire into the mists of mediocrity. It is my intent to inspire you to feel something when you read my words; that you will remember my characters and their stories. I hope you will enjoy them and share them with your friends and family so that those characters who have chosen me to write their tales can live on in your mind, as well. I have been a story teller all my life, at least since about 3 years old, and my work gravitates toward the fantastic. My stories often involve space travel, supernatural beings or faerie creatures. Even those that don’t, often have a surreal or unusual bent. 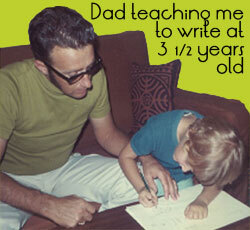 I wrote my first short fiction sometime before I turned a two-digit age. It was pretty bad, but you have to start somewhere. I guess I showed some sort of talent by the 4th Grade, because my teacher (bless her heart) pulled me aside one day after school and told me I should really consider a career in writing. I side-tracked awhile into the sciences, earning a Bachelor’s degree in Biology. But while I was studying for that degree I discovered science writing, and so went on to get my Master’s degree in Journalism, with an emphasis in science communication. I’ve been in marketing communications and public relations for more than 20 years, plying my craft to communicate complex topics to a lay audience. But on the side, my fiction and poetry has always been where my heart was. To date, I’ve published two cook books and one business title, and have several others in the works. But this website focuses on my fiction and poetry. 2. You’re trying to make that artistic expression something that an audience will want to read. "If you don't inspire, you expire." "It is a rare goal that has only one path." "Life is too short for uncomfortable clothes!" "Isn't it interesting how we often fight who we truly are, what we truly want and that which we truly deserve?" "The more you appreciate, the more you have to appreciate." "I know, therefore I am." "Today is wonderful because I've chosen to see it that way." "If you want your book to do anything that requires people to buy it and read it you need to know how to market it." 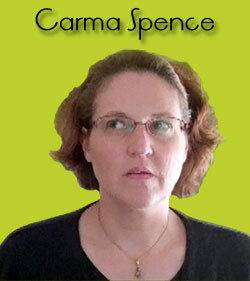 Share book reviews and ratings with Carma, and even join a book club on Goodreads. I've kept a bibliography of books I've read since 1993 and am now entering them into my Good Reads account. Check out my reading list and see what we have in common!